Jaejoong: Yes, me. First of all... oh... I am a very strong man. I am a happy person that is very much loved by a lot of people. Tablo: May I have your name? Jaejoong: My name? My name is... Kim. Jae. Sun. Hahaha. Tablo: Jaejoong-ssi, hello. Have you been well? 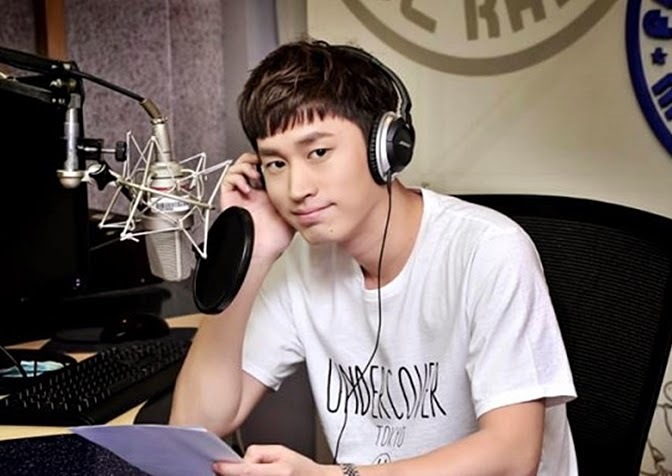 Tablo: Were you listening to Dreaming today? Jaejoong: Yes, I am listening now. My shooting just ended. I have my next schedule, but there is a short break and I'm listening now during it. Hahaha. Tablo: Why did G.O.D's One Candle came out and not Lies, but there's not much listeners who really talks in detail about our station. Do you often listen to Dreaming? Jaejoong: Yes, I am really a fan. I listen to it often. It overlaps with the timezone most of the time. It seems like there is something done by destiny even if I am not listening on purpose. Tablo: Jaejoong-ssi, your phone voice is really nice, too! Tablo: Jaejoong-ssi, that is from blue night, The book of Odes (T/N: Oldest existing collection of chinese poetry). Tablo: Jaejoong-ssi, this is a song request. Jaejoong: You don't care even if I do anything? A member had an album not long ago. Tablo: Ah, the one who rapped? Preparing for Show me the money 4? Jaejoong: Yes yes, that is Lion JS. Our world happened to be affected by the hip hop president. The rap now, while it has been steady 15 years ago, there were people who gave up rap when they focused in the middle of the song. Tablo: The songs were really done well seeing who the rapper is. Jaejoong: Yes, the songs were done well. He also dances a little too well. LION JS is active in activities with the name Xiah. He is Junsu. Hahaha. Hyung (Tablo) was the featuring this time. Tablo: Yes, I did the rap this time. Jaejoong: First of all, I would like to hear hyung's featuring in Flower, but because I think a lot of people have heard the song already, we will listen to Junsu's 나비 (Butterfly). Tablo: Ah, I like that. Ah, Jaejoong-ssi, we are receiving letters from a lot of people now that says, "I love you and Jaejoong oppa, I will wait for you." Tablo: Your mind must always be doing well. Jaejoong: Yes, thank you. Please cheer up.